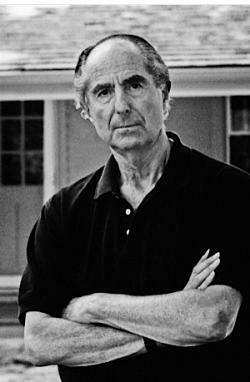 Philip Roth’s open letter to Wikipedia: Another possible inspiration for The Human Stain. Philip Roth Taught a Course at Bard; Did It Inspire The Human Stain? Roth, the “most decorated living American writer,” delivers an exhaustively detail-oriented explanation of who did inspire the book (Roth’s old friend Melvin Tumin, a sociology professor) and who didn’t (Broyard). The catalyzing moment in the plot of The Human Stain was inspired, we learn, by an actual event in Tumin’s life: During a class attendance-call, Tumin uttered the word “spooks” in reference to two serially absent students who were, unknown to Tumin, black. What follows this utterance, in Roth’s novel, is a P.C.-driven persecution of the fictional professor Coleman Silk. Clearing the record, Roth describes the relatively paltry extent of his knowledge of, and relationship to, Broyard (they once flung around a football on a beach; Roth once offered to buy him some Paul Stuart shoes), and gives us a fine-bore reckoning of various plot details that issued straight from Roth’s brain. I read Roth’s post eagerly because, when it came to the matter of The Human Stain’s “real-life” inspiration, I’d long operated under the assumption that Roth must have drawn, to some degree, on a class that he co-taught during my second year at college—an experience that had ended in disaster. In the fall of 1999, Roth came to Bard, a small liberal arts school in upstate New York, to participate in a survey-course about his own work. The course, led by Roth’s friend Norman Manea, met twelve times to discuss six of Roth’s books (The Ghost Writer, Portnoy’s Complaint, The Counterlife, Sabbath’s Theater, American Pastoral, and I Married a Communist). Each of these books received two discussions: the first one with Manea; the second, the following day, with both Manea and Roth, who would share memories and ideas relating to that week’s book as he fielded questions from the students. There were about fifteen of us in the class, and as I recall (my memory’s a bit fuzzy by now) our numbers were pretty evenly split between men and women. Manea’s pedagogical style was loose-reined. He’d introduce an open-ended theme (“I was thinking, this week, we might talk about love…”) and then cede the floor to the kids. The only sophomore in a roomful of third- and fourth-year students, deservedly unconfident in my insights and more than a bit star-struck by Roth, I tended to keep my mouth shut. I’m sure I broke into several discussions to say useless things, but the only exchange I remember having with Roth happened after class one day, and it involved me saying something trivial and possibly untrue about how both our families included New Jersey chiropodists as I passed him my father’s first-edition Portnoy’s. Roth graciously autographed it, perhaps wondering if he’d wandered into a Borders book-signing instead of a classroom. The experience of reading and re-reading Roth’s books for the class was wonderful. The actual discussions we had, as could often be the case in Bard’s seminar-style courses, were hit-and-miss, dependent as they were on the insights of a gang of 19- and 20-year-olds encouraged, by the college’s permissive culture, to voice their opinions, however unformed, loudly and proudly. In one of the last Manea-only classes, toward the end of the semester, what had been a faint but persistent subterranean rumbling from several students about what they saw as Roth’s underwritten female characters sprouted into passionate, fully flowered charges of misogyny. I think Sabbath’s Theater was what did it; maybe the nasty divorce of I Married a Communist. Whichever it was, when Roth showed up to discuss the book the next day, Manea had apprised him of the criticisms, and Roth asked the students to share some more about them. (I was on the sidelines of the debate.) Face to face with Roth, the students in question were polite and even a bit meek at first, but they had the courage of their convictions, saying things to the effect of, “Sometimes it seems as though the women in your books are reduced to foils for more fully realized male characters,” etc. Roth told us why he thought this wasn’t true. Unconvinced, students countered with some examples. It went back and forth, pretty awkwardly, until the two hours and twenty minutes were up. I don’t think anyone walked out satisfied. For the final class of the semester, we moved to a very large room, open to anyone at the college, or in the surrounding community, who wanted to sit in. A hundred or so people showed. That day’s class was, I think, supposed to be about American Pastoral. But Roth, evidently still fired up by the student insurrection, arrived with a thick stack of paper: transcripts of the court proceedings of artists brought to trial during Stalin’s great purge. Roth read from these transcripts, aloud and at significant length, emphasizing those passages in which artists eloquently defended their prerogatives; in some preliminary remarks, he made it clear to those of us in the class that he meant to draw a parallel between the Stalinist prosecutors and the feminist-minded readers among us who’d confronted him. The course had transformed, in its final hours, into a stern one-man play about artistic freedom and institutional censure, starring Philip Roth. I can only imagine how befuddled the visitors at the back of the room must have been, expecting tales of the Newark riots and glove manufacturing. In May of the following year, Human Stain came out, and I was certain that Bard had been part of Roth’s research—not just for the novel’s idyllic Athena College, but also for the culture-studies-fueled witch-hunt unleashed so hysterically and senselessly on poor Silk. Perhaps the timing is wrong, though, and Bard, like Broyard, is nowhere in Human Stain’s DNA. Perhaps the book’s arrival after the Bard showdown was simple coincidence, and Roth had come to the campus with his P.C.-detector turned up high having already lived mentally in Athena for years. I have no way of knowing, and on this subject, Wikipedia is mum.